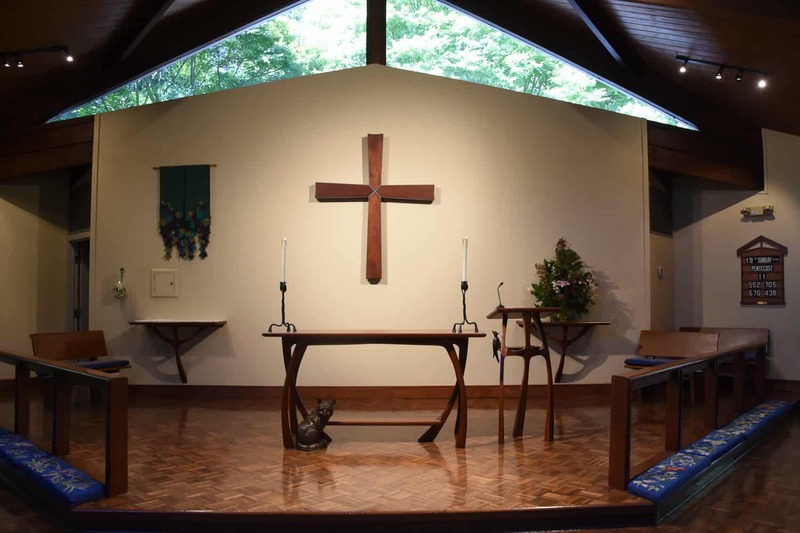 The first thing most people notice when they walk into our sanctuary is that there are no stained glass windows. Instead, light and the beauty of nature stream in through windows on the side of the church and above the altar. Week by week the view changes as we watch the progression of the seasons. In the late fall the windows above the altar are a brilliant red from the trees behind the church. A few weeks later bare trees show their own stark beauty. The way our buildings are in harmony with the land around us is no accident. Among our founding members was a landscape architect, Roy Reece, and an architect, Fred Branch. They worked together to place the buildings in a way that preserved the beauty of the surrounding five wooded acres, and designed the buildings to show the grandeur of God’s creation. 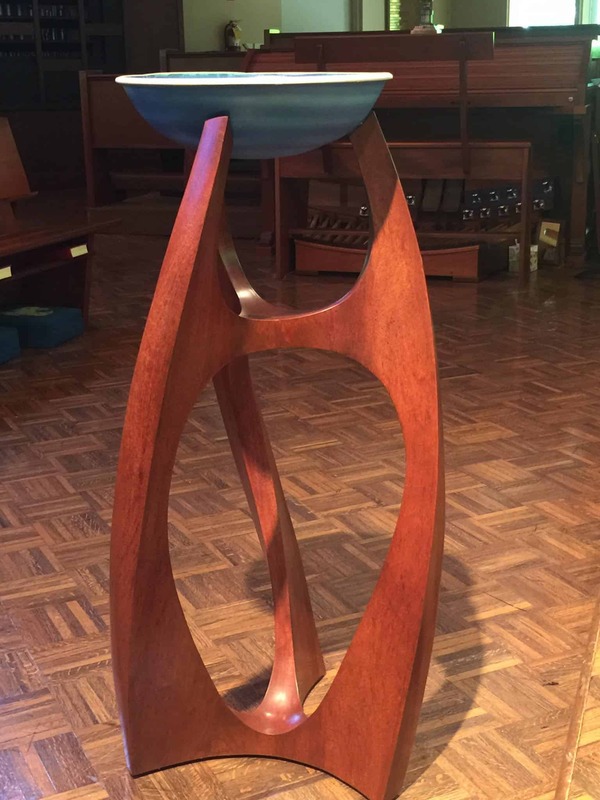 When we celebrated our 50th anniversary in 2014, we took the opportunity to commission new liturgical furnishings which better reflect the gracefulness and openness of our sanctuary. 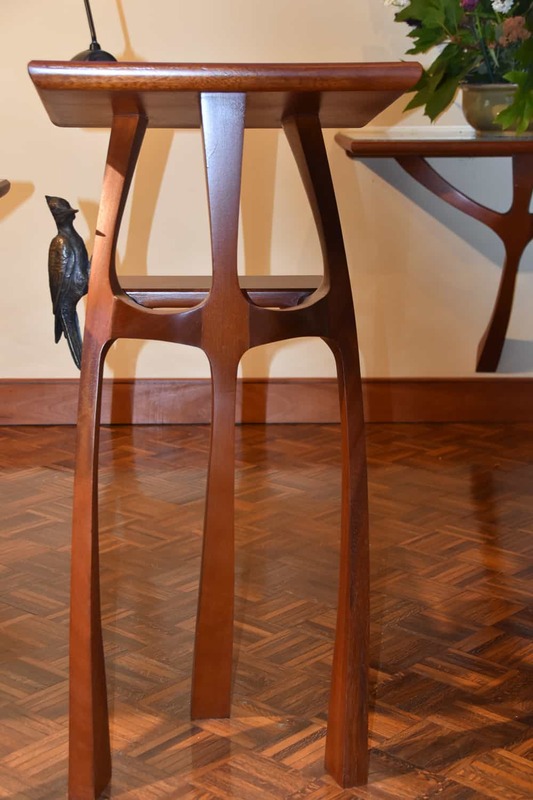 The new altar, lectern, side tables and baptismal font stand were designed and crafted by artists Timothy Sutherland and his daughter Timera Temple. 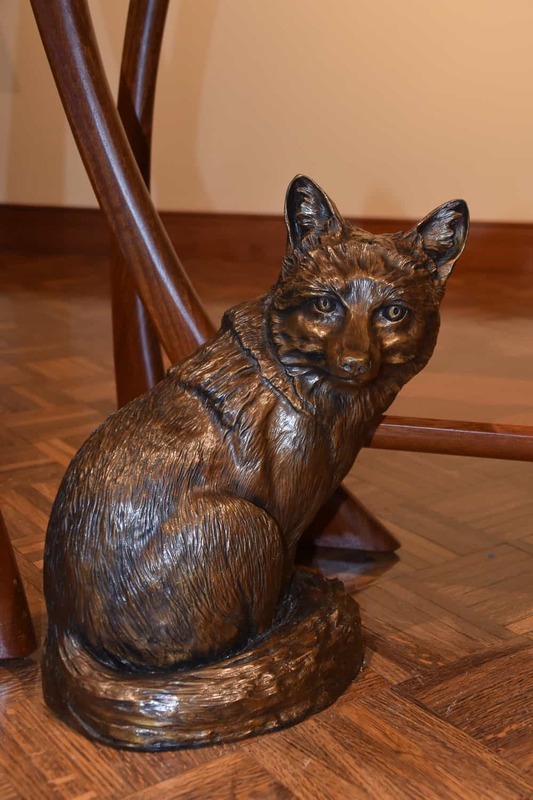 Timothy’s wife, Anne Sutherland, sculpted the bronze fox who sits beneath the altar, and the pileated woodpecker that is perched on the lectern. Why the fox and the woodpecker? In the past there was a fox who considered the church grounds part of his territory. Often on Sunday mornings he would sit on the stone wall beside the church and look in at us during worship. 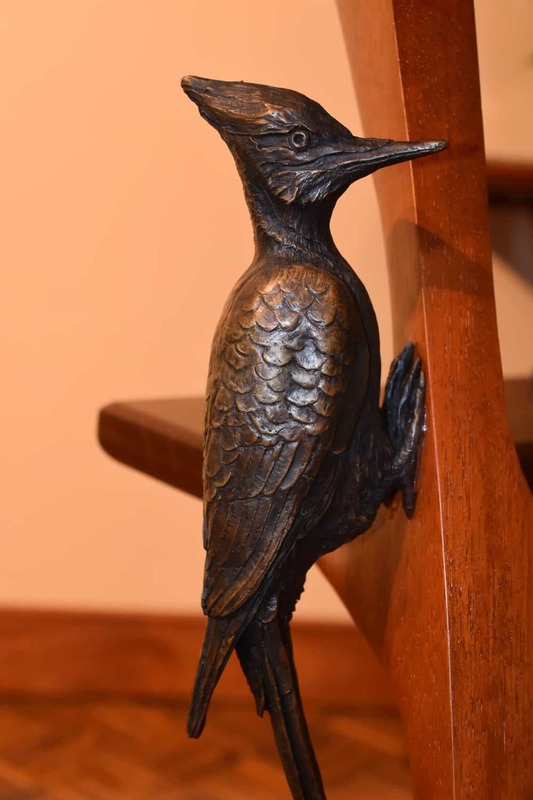 There are also a pair of pileated woodpeckers who frequent the church. One year the male spent most of the spring defending his territory from the reflection he saw in the church windows. 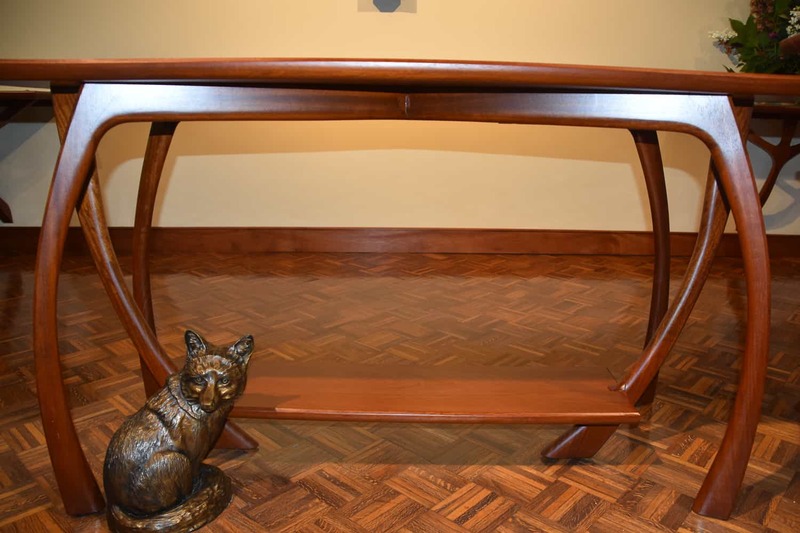 The fox has become the center of a new St. Dunstan’s tradition. Young children come and sit under the altar and pet the fox after receiving communion. 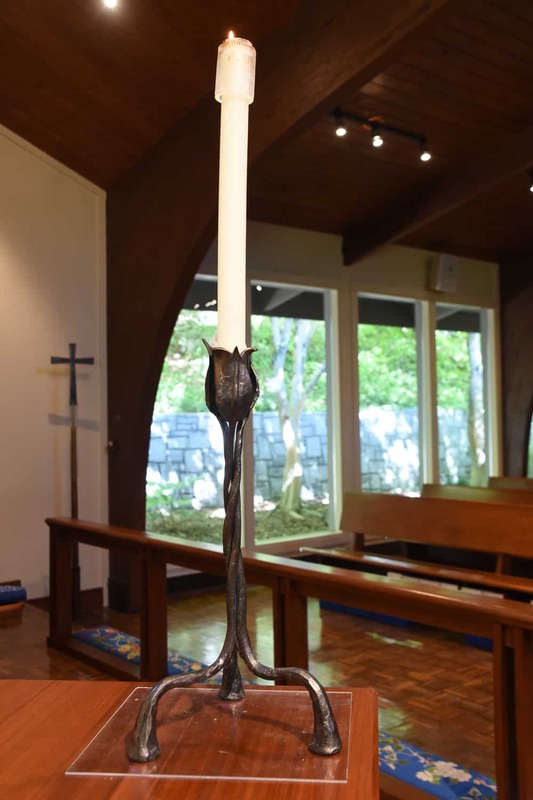 Our candlesticks and paschal candle/advent wreath were made by blacksmith Elmer Rousch of Murphy, NC. Our patron saint was a blacksmith, so it seems appropriate for us to use candlesticks forged out of wrought iron by a modern blacksmith instead of the more traditional brass. 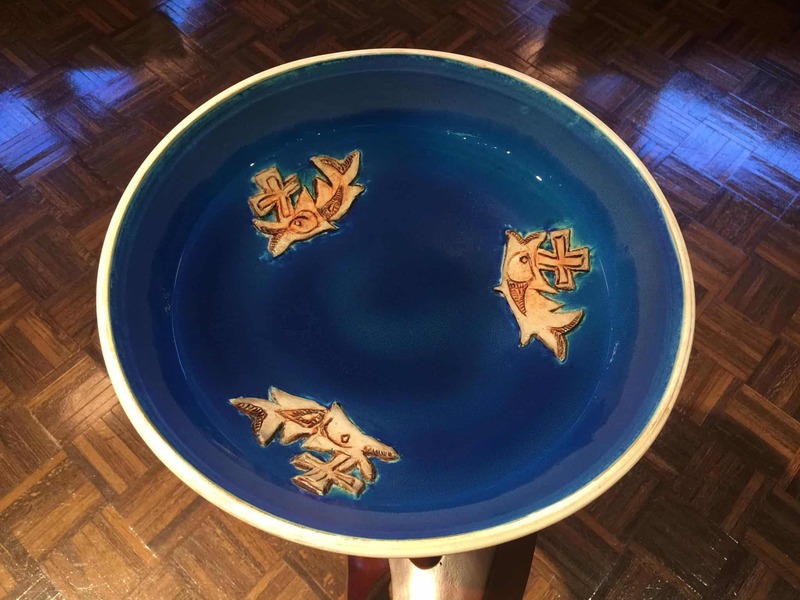 The baptismal font bowl was designed and made by Watkinsville, GA potter Alice Woodruff.